Designated Spray Painting Areas can be permanent or temporary areas that provide a compliant, appropriately ventilated and zoned space to paint objects which are typically oversized or unique in a way that spray painting could not be conducted within a conventional Spray Booth Cabin. There are very specific regulations and zoning requirements that form part of this acceptable practice; in all cases design should be justified and built for purpose. 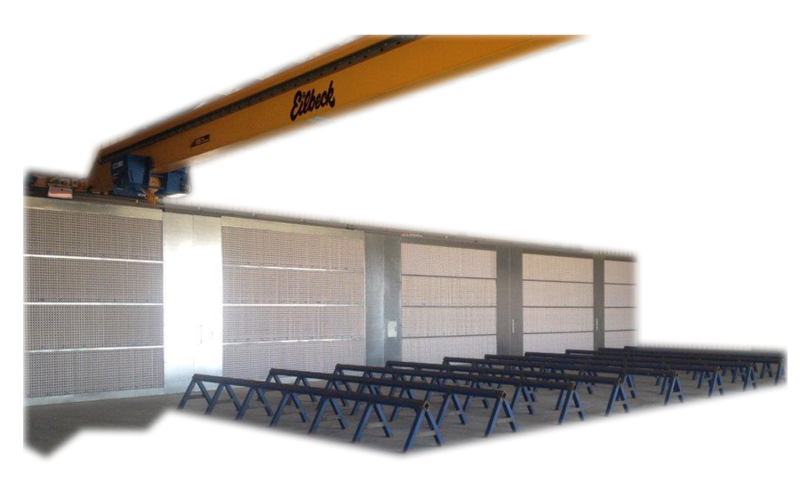 Examples are typically where clients require offsite painting, remote painting or when large overhead cranes are required bring in the oversized or irregular items. In some cases temporary structures are used for overflow painting or as an interim solution while the new painting facility is constructed. How do we design areas? Designated Spray Painting Area Regulations are more comprehensive that only the AS/NZS.4114.1:2003 Spray Booth Standards. They require electrical hazardous zone compliance and delineation of areas to ensure that no sources of ignition are within the zone without protection. 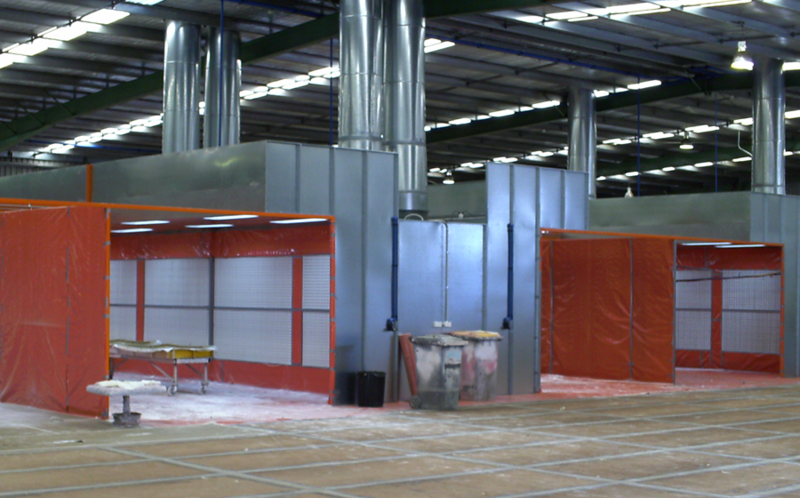 All spray areas and temporary booths must be designed under expert guidance. Please speak to one of our Specialist engineers today regarding your requirements to gain a further understanding for your obligations when operating a designated or temporary spray painting facility. Mining Equipment, Oversized and irregular structures, Contract Painting for large-scale equipment in regional areas, blast and spray contract works, large scale structural steel, Boating & Marine as well as Aviation and Aerospace. loaded by crane structural members, pipes and large scale steel is painted within this zone. 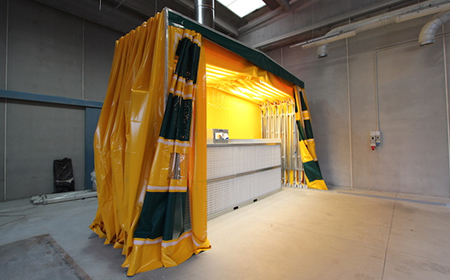 Designed for the spray painting of complete structural platforms, this booth provides a segmented are by way of curtains. For contract painting or interim painting a temporary structure can be set-up commonly refereed to as an igloo. This igloo can be fitted with ventilation exhaust filters, fans and plenum as well as compliant controls and lighting. Retractable spray booths are actually just temporary spray areas. The exhaust wall forms the permanent section of the booth and the retractable walls are regarded as temporary structure only. With hazardous zones extending beyond the curtain walls. 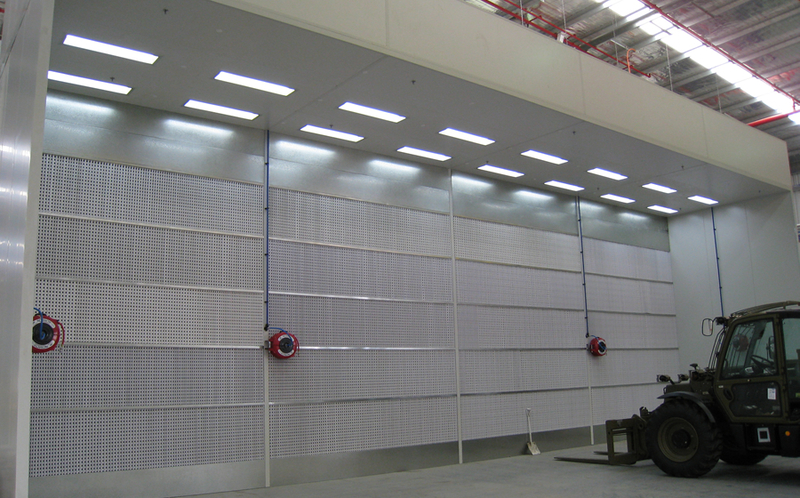 The most important part of any spray area is the exhaust wall filter / extraction plenum or spraybooth. This provides ventilation and filtration for your spray area and must be designed to suit your specific application. 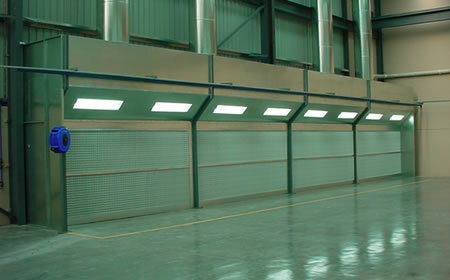 Spray areas or paint halls can be created inside sheds or buildings. 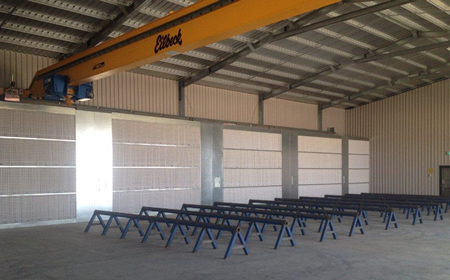 Normally the product to be painted is craned into position and placed onto stands or a skid as shown in this picture. large Boats, structural steel and irregular objects are commonly painted this way. 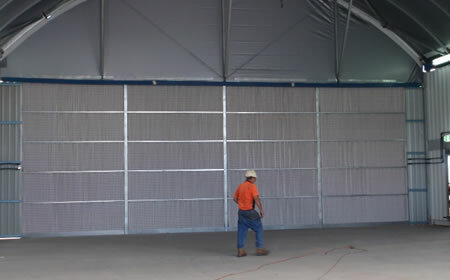 Separation walls or curtains can be used to limit the travel of the over-spray and segment spray areas. Specific zoning still applies to these areas and must be addressed in design. With every facility being different, TRUFLOW engineers must consider the size of the product, the facility and the volume of paint to determine the appropriate zone and design.